οἰκονομία, (oy-kon-om-ee'-ah), Greek for STEWARDSHIP, a fundamental concept through which Christians can integrate issues of SCIENCE, FAITH, and CULTURE. Sometimes, we find it hard to communicate with a friend or our spouse even when we stand face-to-face! Yet God, who we can't even see, claims to hear our prayers! 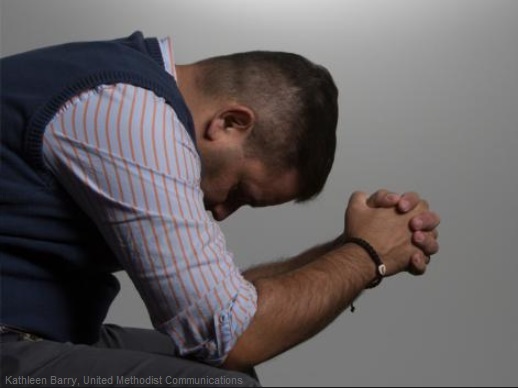 Does God really hear us when we pray--alone where no one else can hear? Does God hear our quiet utterances from quivering lips? Our groans without words—offered from deep within our souls--in total silence and in solitude? My faith is often so weak. But God knows our weakness and clearly invites us to pray: Call unto Me and I will answer you… (Jeremiah 33:3). The Apostle Peter who was no stranger to doubt and fear encourages our faith to pray: Though you have not seen Him, you love Him; and even though you do not see Him now, you believe in Him… (1 Peter 1: 8). And Hebrews 11: 1 adds that faith is the substance (or “reality”) of things hoped for, the evidence (certainty, conviction, proof) of things not seen. God knows how hard it is for us to exercise faith. His knowledge of our human frailty is demonstrated in part through His incarnation—God …became a human being and, full of grace and truth, lived among us (John 1: 14). The Apostle Paul explains that …although He [Jesus, the perfect ‘God-Man’] existed in the form of God, did not regard equality with God a thing to be grasped, but emptied Himself, taking the form of a bond-servant, and being made in the likeness of men. Being found in appearance as a man, He humbled Himself by becoming obedient to the point of death, even death on a cross (Philippians 2: 6-8). Jesus Christ surrendered His kingly position with God the Father and become a willing bond-servant to serve His Master out of love. According to many Gospel accounts, Jesus’s life was marked by His habit of praying to His Father in Heaven. When our faith is weak, we can look to Jesus as our example--and look to His Spirit for power. As was Jesus’s dependency upon His Father, so is to be our dependency upon Jesus (paraphrased from F.B. Meyer). We are to abide in Him. Jesus taught this principle to His disciples on Thursday of the Passion Week using two methods. First, he used the parable of the vine and the branches (John 15). Then He showed His disciples what it means for a person to “abide in His Father” as He approached His anguish in the Garden of Gethsemane. Consider first, the parable of the vine and branches. As Jesus and his disciples walked toward Gethsemane, He may have pointed to a grape vine while He explained, I am the true vine, and My Father is the vinedresser. Every branch in Me that does not bear fruit, He takes away; and every branch that bears fruit, He prunes it so that it may bear more fruit (John 15: 1-2). 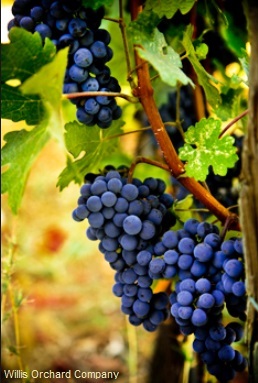 In this parable, Jesus pictures the life of every Christ-follower as a branch of a fruitful vine (Jesus); and, the Father is pictured as the loving caretaker of the vine. Then, Jesus explains that Christ-followers (“branches”) are joined and nourished by the vine so that we can be fruitful (see Galatians 5: 22-23): I am the vine, you are the branches; he who abides in Me and I in him, he bears much fruit, for apart from Me you can do nothing…(John 15: 5). If we are to “abide in Him” we must (a) hear and obey His Word and (b) commune with Him through prayer in knowledge of His will: If you abide in Me, and My words abide in you, ask whatever you wish, and it will be done for you (John 15: 5, 7). The disciples heard this wonderful parable of Jesus. They had also just heard Jesus tell Peter that Satan has asked permission to “have you to sift you like wheat; but I have prayed for you (Luke 22: 31-32).” They also heard Peter’s vow never to deny Jesus; and, Jesus’s prophecy that Peter would deny Him three times (v. 33-34). Now it was time for them to see what “abiding in Him” actually looks like, especially when they were about to face great trial and turmoil. 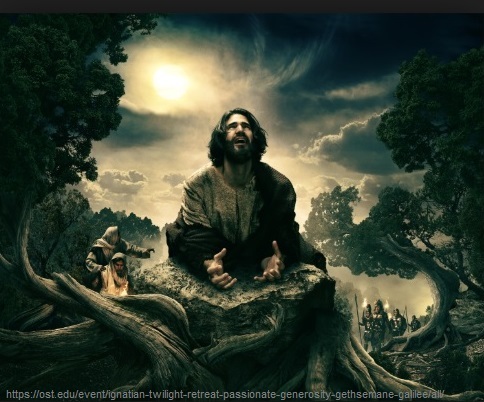 Jesus had prayed many times in the dark, lonely setting of the Garden of Gethsemane (Luke 22: 39). But neither His disciples nor we as readers of the Gospel accounts will ever understand the physical, mental, and spiritual struggle Christ faced on that crucial night. 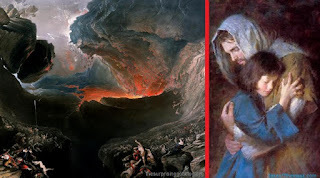 There, Jesus poured out His anguished soul to His Father as He anticipated being separated from God the Father as He would take upon Himself the sins of the whole world and carry them to the grave in His physical death. When we are faced with a great decision, a trial, or a spiritual battle, this example of Christ teaches us to resort to prayer. His disciples entered the garden with Him; and then, He invited Peter, James, and John to accompany Him to pray and keep watch while He drew aside to pray (Matthew 26: 36-46; Mark 14: 32-42; Luke 22: 39-46). As we carefully read these accounts of Christ praying in physical and spiritual anguish in the Garden, may we find great comfort and instruction to help when we face temptations and trials that threaten our abiding in the vine-Life of our Savior. Remember, Christ's dependence on the Father is our example to follow. In times of spiritual battle, our obedience and prayers may not only face “spiritual interference” from our sense of loneliness and from Satan’s attacks. We may also experience doubt when we don’t cling to God’s Word. In His humanity, Jesus Christ’s spiritual battle in the Garden of Gethsemane may have brought back memories of the spiritual battle faced by His first human image bearers, Adam and Eve, in the Garden of Eden. Genesis 3 records how Adam and Eve let go of their faith in God’s Word as Satan twisted the truth and convinced them that he offered a better way than God had promised. Failing to abide in the Word of God, the first humans took and ate the only fruit that was forbidden in the Garden of Eden. Now, Jesus had come to a pivotal point in His messianic mission to rescue Adam’s descendants from the curse of sin. Thankfully, Jesus the “second Adam” (1 Corinthians 15: 45) faced the spiritual warfare in “another Garden” and, through prayer and obedience to His Father, did not lose the spiritual battle. Our Savior Prays for Us: If the teaching and example of Christ are not enough to encourage us in our trials, consider that according to Hebrews 7: 24-25, Jesus is now our faithful High Priest Who holds His priesthood permanently. Therefore, He is able also to save forever those who draw near to God through Him, since He always lives to make intercession for them. In Romans 8: 34, in response to the question, “Who would condemn us?”—we read that it is Christ Jesus…who died, yes, rather who was raised, who is at the right hand of God, who also intercedes for us. Black History 2: Reparations or Reconciliation? My junior high and high school history classes in the early 1960’s were enriched by our celebration of the American Civil War (or War Between the States). 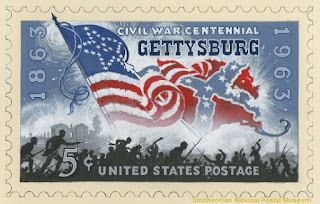 My imagination was captured by books, TV programs like The Rebel, and a series of centennial stamps. Because of the notable character qualities of Robert E. Lee and Thomas J. “Stonewall” Jackson, the South drew my allegiance and I was saddened that they were defeated. 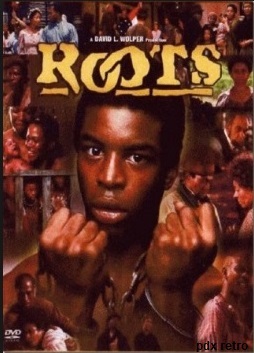 Then, I grew into manhood in the era of Alex Haley’s Roots which chronicled the life of the noble African native Kunta Kinte and his offspring through several generations of American history. I began to realize that human glory and valor had distracted me from the untold suffering, humiliation, and death brought about by the institution of slavery, and the terrible cost of the Civil War that destroyed the lives and families of so many Americans. 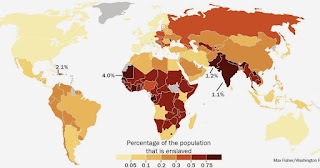 I cannot imagine being a descendant of slaves wondering how my ancestors had suffered from being uprooted from homeland and family in Africa, transported to a foreign land, and then be confined to labor on a plantation as the property of another human being. My boyhood wish that the South had won soon gave way to the wish that this bloody chapter of American history had not occurred. 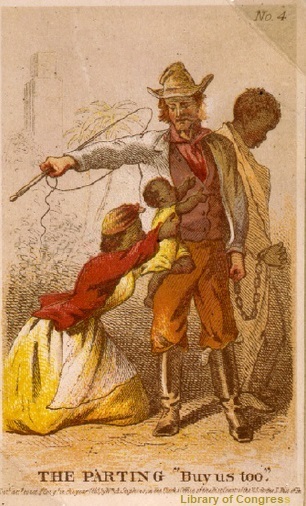 A chapter in which both the North and the South benefited from building their livelihood on the backs of an ethnic group of human beings deemed to be inferior—and a chapter which has continued to play out in the lives of African Americans who have not had the advantages of growing up a two-parent home, receiving a good education, and having a good network of peers. So, I can at least partly understand the call for reparations (to “pay back,” or undo past offenses) to Black Americans for the losses they and their families have incurred over many generations. Ta-Nehisi Coates, correspondent for The Atlantic, has written a landmark article, “The Case for Reparations.” Coates introduces his argument by quoting Deuteronomy 15: 12-15 in which God commands that slaves be offered freedom every seventh year, and that their masters not send [them] away empty-handed…[but give them] a generous farewell from the bounty of the land, all the while remembering that you were once slaves in the land of Egypt and the LORD your God redeemed you! So let me get this straight; our [Black American] ancestors were robbed of their culture, lineage, dignity, and multiple trillions of dollars in wages over hundreds of years. [But you still think] It’s an “entitlement” mindset for the modern descendants of those ancestors to demand to be paid? How is it (reparations) a remedy for the problems facing Black America? What does it solve? Reparations is a distraction, false solution, and an illusion of a cure. Rather than writing at great length about reparations when I’m just beginning to grasp the complexity of the subject, let me offer some points for discussion and invite you to respond in “Comments” below. My points are as follows: How will the cost of reparations be computed? Will reparations really help? Are reparations the right moral response? Family separation at a slave auction. First, consider the difficulty in computing the cost of reparations to Black Americans. How could we establish the monetary value? At what point in history would we choose as the starting year for the computation? Realizing that most Black Americans today are not subject to the same harshness of their ancestors under slavery, how would this variable be factored into the cost to be paid for reparations? For example, in his Atlantic article, Ta-Nehisi Coates writes that enslaved Africans in 1619, though torn from their homeland and transported to the colony of Virginia, “…did not initially endure the naked racism that would engulf their progeny. Some of them were freed. Some of them intermarried. Still others escaped with the white indentured servants who had suffered as they had.” So, are reparations also owed to enslaved whites? Should Native American tribes who enslaved Blacks also be required reparations? The fact that reparations are difficult if not impossible to compute does not itself provide reason for opposing the notion. As Coates argues, “…for the past 25 years, Congressman John Conyers Jr., who represents the Detroit area, has marked every session of Congress by introducing a bill calling for a congressional study of slavery and its lingering effects as well as recommendations for ‘appropriate remedies.’” Conyers’ bill does not require computation of reparations, but would “submit the question to study, and then assess the possible solutions.” What do you think—should the Conyers bill be brought to the floor of the U.S. House of Representatives? What do you think? Instead of trying to pay reparations, would it be more beneficial to Black Americans in the long run to use contributions and tax dollars to develop educational, spiritual, and employment opportunities for all ages aimed at restoring hope, dignity, and purpose to individuals and families? Here, as with any moral issue coming under the category “social justice,” we must identify an objective standard for judging what is moral. For example, in his landmark article cited above, Ta-Nehisi Coates references a biblical command given in Deuteronomy. Whether he acknowledges it or not, the only truly objective foundation for moral judgments is the inspired Word of God (2 Timothy 3: 16; Proverbs 1: 1-7). Unless we all agree that Blacks and all other ethnic groups are equal and valuable, that racism or any oppression of one ethnic group by another are moral and spiritual problems, and that reparations must be weighed against the need for moral and spiritual restoration of people living today, our efforts in my judgment will fall short. God made all people from one man. Though people often can be distinguished by different ethnicities and nationalities, they are ontological equals before God in both creation and redemption. “Race” is not a biblical category, but rather a social construct that often has been used to classify groups of people in terms of inferiority and superiority. All that is good, honest, just, and beautiful in various ethnic backgrounds and experiences can be celebrated as the fruit of God’s grace. All sinful actions and their results (including evils perpetrated between and upon ethnic groups by others) are to be confessed as sinful, repented of, and repudiated. Any human deviation from obedience to God’s commands in Scripture, including our neglect to love our neighbor, regardless of ethnicity, is sin. The Bible teaches that every person is individually accountable to God for his or her own thoughts and actions (2 Corinthians 5: 10; Romans 1: 18-2: 16). The Bible also teaches that every person has an inborn sense of right and wrong which can lead us to repentance, confession, and forgiveness (Romans 1: 18-21; 1 John 1: 9). This point is illustrated in Acts 3: 17-21, a portion of the Apostle Peter’s sermon preached not long after the crucifixion of Christ. As you read it, notice how Peter’s challenge comes down to a clear invitation to individuals and their spiritual accountability to the Gospel of Jesus Christ. Only God knows perfectly each sin of the past, and only God has the full remedy. The Apostle Paul declares, For God was in Christ, reconciling the world to himself, no longer counting people's sins against them. And he gave us this wonderful message of reconciliation (2 Corinthians 5: 19). Can we agree, human effort alone cannot eradicate injustice? Question #3 Is there a “right way?”: Most would agree that history is filled with gross violations of what many call “social justice.” Although we may not agree on how to address social injustices, would you agree that we must have a moral standard or reference by which to judge what is or is not “just?” Would you also agree that this moral standard ought to address the nature of humankind and our tendency to fall short of that standard? If we answer the above in agreement, then can we also agree that there is a common root cause for both the actions of perpetrators of injustice and the responses of those who are objects of injustices? Finally, if we can agree on the root cause of injustices, can we also agree on at least the general nature of a restorative plan for both perpetrators and those unjustly treated? Consider the following excerpt from the Statement on Social Justice and the Gospel which states, based on God’s Word, that …whatever evil influences to which we have been subjected via our culture can be—and must be—overcome through conversion and the training of both mind and heart through biblical truth. For anyone who is grieved at the injustices perpetrated against Black Americans, and for those who have been victims of perceived injustices, healing and restoration begins by repentance and confession of sin. Our restoration and healing are made possible because Christ paid for both our sins and our griefs on His Cross (Isaiah 53). We must rely on the authority and trust in the sufficiency of His Word (2 Timothy 3: 16). Will reparations of past injustices solve current ones? All of humanity, deceased and living, are offenders and have been offended. 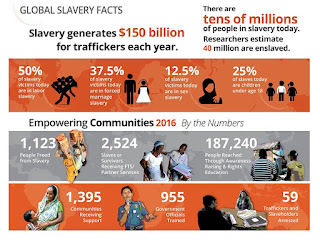 Grave injustices still occur all around the world as statistics on current human slavery reveal. Christ-followers need to be attentive to how they might participate or support efforts to end human slavery and other injustices through biblical means. We began with a citation from Deuteronomy 15: 12-15 by Ta-Nehisi Coates in his Atlantic article that slave masters not send [slaves] away empty-handed…[but give them] a generous farewell from the bounty of the land, all the while remembering that you were once slaves in the land of Egypt and the LORD your God redeemed you! Based on the spirit of this passage, what would be the nature of an approach to promote meaningful and lasting restoration of Black Americans and others suffering under real or perceived injustices? Are you aware of organizations or programs that resemble such an approach? Check out The Woodson Center which offers a hands up approach. 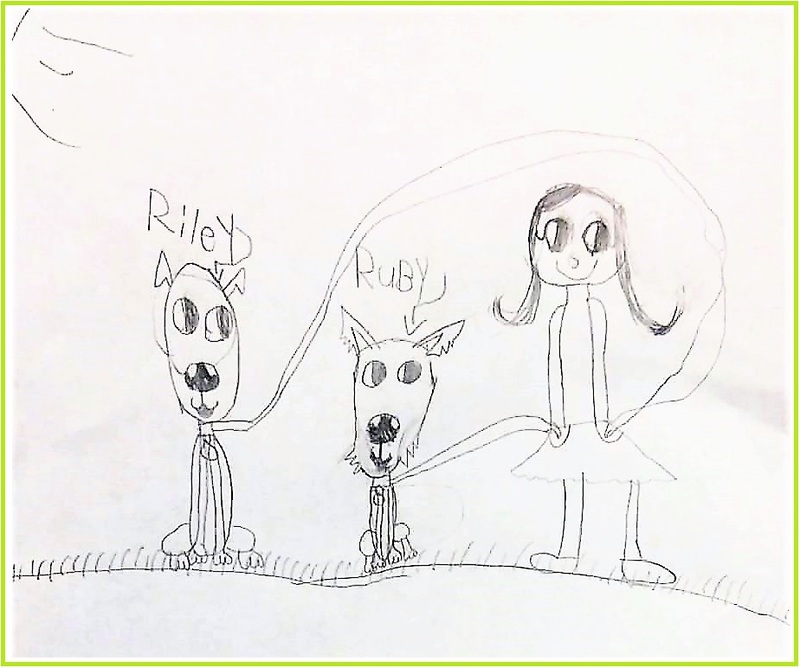 Della Rose and doggy pets, Riley and Ruby. “Grandpa, do you think there will be animals in Heaven? 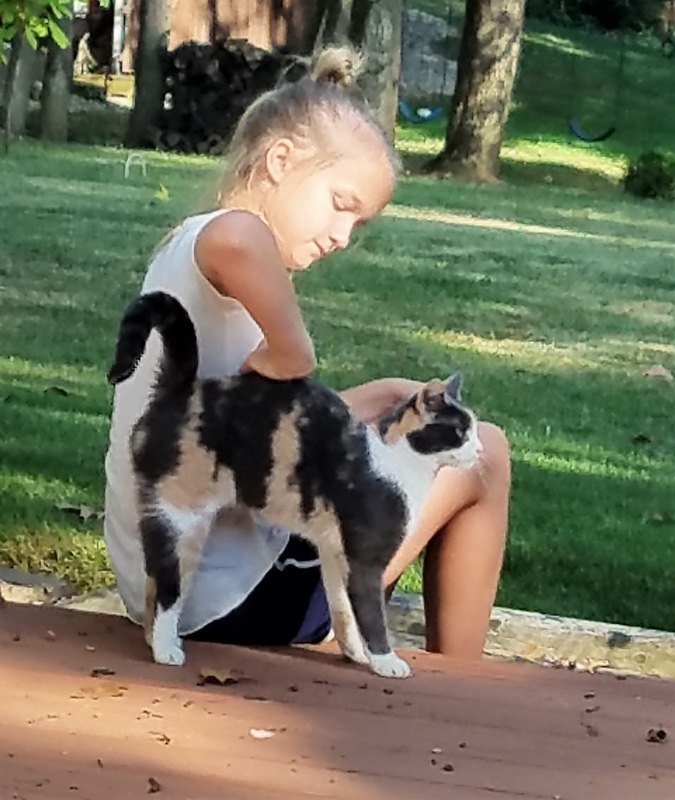 Della Roses's kitty named Lily still lives in Wooster. Realizing my inability to comfort her and give hope on that day, I decided to do more study on the subject. Fortunately, the Bible has much to say about animals. Randy Alcorn, in his excellent book, Heaven (Tyndale, 2004), states that the Bible portrays animals as Earth’s second most important inhabitants. 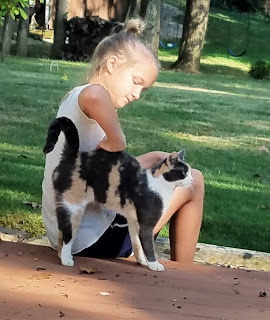 God entrusted animals to us, and our relationships with animals are a significant part of our lives (p. 373). Why wouldn’t animal life also be a part of Heaven? Before we discuss the future God may have in store for animals, we ought to lay some groundwork to establish God’s plan for humans who will receive the reward of life forever in Heaven. 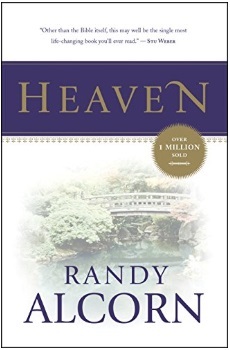 Two questions are important to consider: Where will Heaven be? And, what will the nature of the lives and bodies of God’s redeemed people in Heaven? 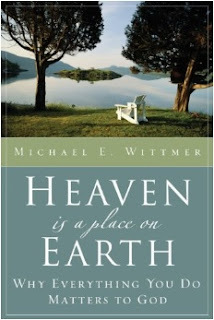 The subject of Heaven is vast and is well supported throughout the Bible. Alcorn’s treatise on Heaven is regarded as one of the best single sources on the subject and I highly recommend the book. Yet many preachers and teachers seem to shy away from addressing the details of this eternal hope of Christ-followers. Consequently, many believers lack the knowledge and enthusiasm exuded by men like the Apostle Paul (2 Corinthians 12: 1-4) and the Apostle John (Revelation 21, 22). Paul said, I consider that the sufferings of this present time are not worth comparing with the glory that is to be revealed to us (Romans 8:18). and take delight in My people. Notice that Isaiah’s prophecy affirms that God will one day come and “rejoice in Jerusalem.” According to Revelation 21:22, God’s beloved “city of peace,” will have no temple in it, for the Lord God the Almighty and the Lamb are its temple. I hope my brief summary of what at least some theologians believe about Heaven will motivate you to read more on the subject and search the Scriptures for confirmation of your belief. Before considering what God may have in store for the very prominent and valuable part of His creation, namely animal life, we ought to consider what the Bible promises for human life in heaven. As I have written in an article entitled, “Recognizing Loved Ones in Heaven,” God’s special revelation in Scripture affirms and complements His natural revelation in creation to teach that resurrected Christ-followers will have new bodies and personality (1 Corinthians 15). Consider that the resurrected Christ is a “first fruit” or promise of things to follow. We understand that we will have at least some of His capabilities in our resurrected bodies. This means we will engage in meaningful worship, work, fellowship, and enjoyment of meals together, even as the resurrected Christ enjoyed with His disciples (John 21). It seems logical from Scripture that humans who are created as relational beings in the image of God would enjoy an eternity in intimate relationship with our Creator, with one another, and with God’s creation—including animal life. Heaven will represent a complete restoration of what was so tragically lost in the Fall of humankind in the Garden of Eden. With reference to these and many other Scriptures, Alcorn’s vision of Heaven is reflected in a Gospel Coalition interview in which he states (emphasis mine): What God made us to desire is exactly what he promises to those who follow Jesus Christ: a resurrected life in a resurrected body, with the resurrected Christ on a resurrected earth. Our desires correspond precisely to God’s plans. I can understand why both children and adults grieve at the loss of loved ones including their beloved pets. When a death occurs, an intimate relationship is broken and we feel as if we have lost a part of ourselves. But for Christ-followers who anticipate a blessed reunion with family members in Heaven, God’s Word offers comfort and assurance that what we hope for will become reality. As Alcorn believes (emphasis mine), It’s not that we want something, so we engage in wishful thinking. It’s the opposite—we want real human lives as real embodied people because God has wired us that way, and has always planned for it. George Washington: A Worthy Hero? 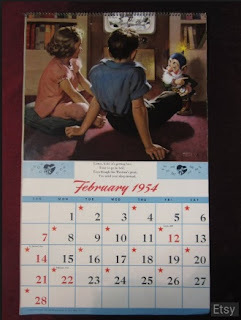 During my elementary school years, the month of February was one of my favorites. As winter daylengths grew longer, February brought Valentine’s Day and the excitement of exchanging Valentines with my classmates. I gave special attention to preparing and then exchanging Valentines with the girls in my class. On a more serious note, February invited my teachers to offer interesting projects and studies of two of our greatest presidents, Abraham Lincoln and George Washington. I was always impressed that, unlike my birthday, theirs was honored with red numbers on calendars--February 12 and 22, respectively. George Washington (1732-1799) was born in Westmoreland Co., Virginia, south of what would become our nation’s capital, now named for him. His vocations were varied and significant: Virginia farmer, Ohio valley wilderness land surveyor (1749-1750), commander of the militia in the French and Indian War (1754-1763), commander in chief of the Continental Army during the American Revolutionary War (1775-83), contributor to the drafting of the U.S. Constitution (1787), and first president of the United States (1789-1797). 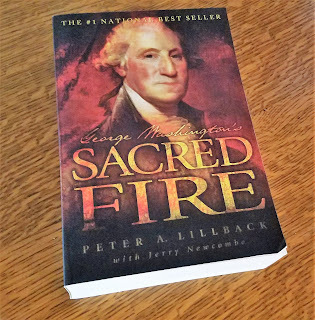 Peter A. Lillback’s 1,200-page treatise which now rests heavily on my lap is entitled George Washington’s Sacred Fire. Lillback attempts to portray Washington accurately from his extensive references to the historical records. I highly recommend this book, and have chosen to include only a few excerpts here in defense of Washington’s integrity and faith in God. The most frequent attempt to deny that George Washington had placed his faith in Jesus Christ as his Savior and as his hope of Eternal Life claims that he was a Deist. Many who label Washington as a Deist would align him with the agnostics who claim neutrality on the issue of whether God exists. If God does exist, He has been so uninvolved in the world that He is unknowable. 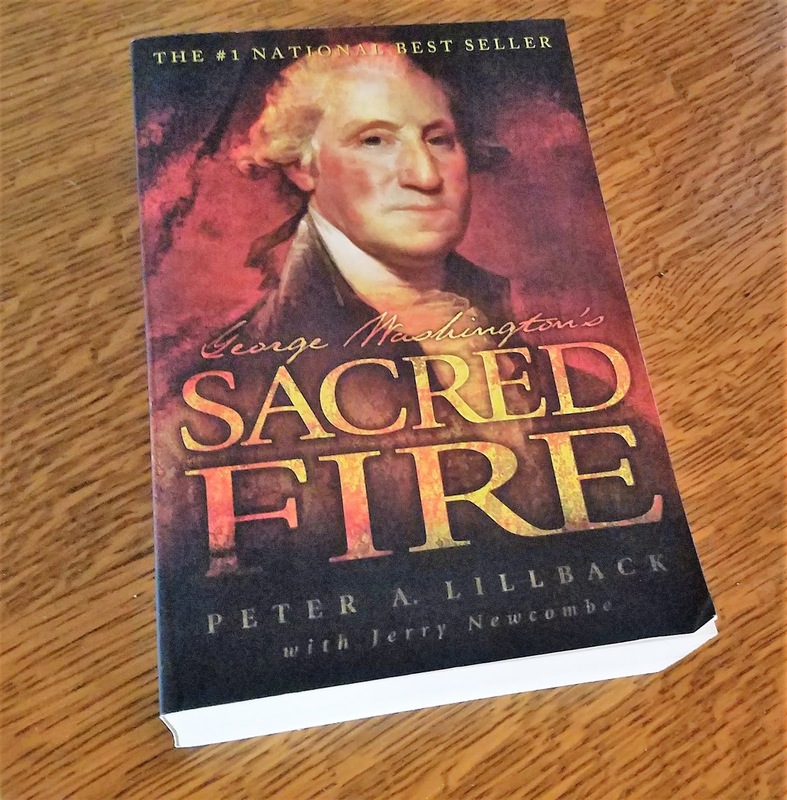 Regarding our first president’s practice of the Christian faith, Lillback writes, “George Washington was not a perfect man. He occasionally lost his temper, he drank wine—maybe too much when he was a young man…he had a revenue producing distillery on his Mount Vernon estate…he owned slaves…which was not uncommon for a Southern gentleman of his day. Like other human beings, [Washington] struggled with personal challenges such as illness, fatigue, pain, deaths of loved ones, loneliness, financial pressures, and step-parenting challenges, to name but a few. Yet, as we can see from his writings, he attempted to walk according to the duties of the Christian faith. Though in reviewing the incidents of my administration I am unconscious of intentional error, I am nevertheless too sensible of my defects not to think it probable that I may have committed many errors. Whatever they may be, I fervently beseech the Almighty to avert or mitigate the evils to which they may tend. I shall also carry with me the hope that my country will never cease to view them with indulgence and that, after forty-five years of my life dedicated to its service with an upright zeal, the faults of incompetent abilities will be consigned to oblivion, as myself must soon be to the mansions of rest. I’ve lived through many February’s since I first celebrated Washington’s birthday. But, having read portions of George Washington’s Sacred Fire, I am pleased to say that he remains one of my heroes. Any of us who study the history of Washington or any other historical figure ought not to miss the blessed evidence of the hand of Providence in the lives of imperfect men and women. As for me, I must especially remember that their lives are now history, but my race is still to be run to the finish. Lord, may we who fix our eyes on You lay aside the encumbrances and sin that weighs us down, and run with endurance.1 May we speak and so act, as those who are to be judged by the law of liberty2 –the liberty that causes us to live in the Joy of our salvation and to be gracious and merciful to others because of the costly grace and mercy Christ purchased for us and extends to all who will receive. Most Gracious Lord God, from whom proceedeth every good and perfect gift, I offer to thy divine majesty my unfeigned praise & thanksgiving for all thy mercies towards me. Thou mad'st me at first and hast ever since sustained the work of thy own hand; thou gav'st thy Son to die for me; and hast given me assurance of salvation, upon my repentance and sincerely endeavoring to conform my life to his holy precepts and example. Thou art pleased to lengthen out to me the time of repentance and to move me to it by thy spirit and by the word, by thy mercies, and by thy judgments; out of a deepness of thy mercies, and by my own unworthiness, I do appear before thee at this time; I have sinned and done very wickedly, be merciful to me, O God, and pardon me for Jesus Christ sake; instruct me in the particulars of my duty, and suffer me not to be tempted above what thou givest me strength to bear. Take care, I pray thee of my affairs and more and more direct me in thy truth, defend me from my enemies, especially my spiritual ones. Suffer me not to be drawn from thee, by the blandishments of the world, carnal desires, the cunning of the devil, or deceitfulness of sin. Work in me thy good will and pleasure, and discharge my mind from all things that are displeasing to thee, of all ill will and discontent, wrath and bitterness, pride & vain conceit of myself, and render me charitable, pure, holy, patient and heavenly minded. be with me at the hour of death; dispose me for it, and deliver me from the slavish fear of it, and make me willing and fit to die whenever thou shalt call me hence. Bless our rulers in church and state. Bless O Lord the whole race of mankind, and let the world be filled with the knowledge of Thee and thy son Jesus Christ. Pity the sick, the poor, the weak, the needy, the widows and fatherless, and all that morn or are borken in heart, and be merciful to them according to their several necessities. Bless my friends and grant me grace to forgive my enemies as heartily as I desire forgiveness of Thee my heavenly Father. I beseech thee to defend me this night from all evil, and do more for me than I can think or ask, for Jesus Christ sake, in whose most holy name & words, I continue to pray, Our Father. Science Research: Is Smaller Better? Today, a large percentage of scientific research is conducted in large, collaborative teams. But according to a paper published in Nature yesterday (February 13), “researchers may be better off working in small teams.” The Nature study, led by James Evans of the University of Chicago, was reviewed by Ruth Williams’ article in today’s online edition of The Scientist. Evans et al. 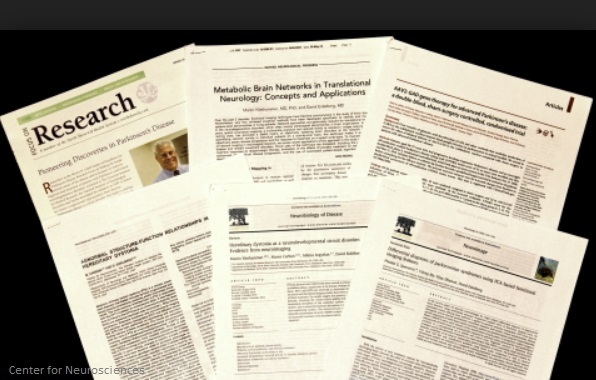 studied the citations of tens of millions of research papers and patents. Papers were evaluated for degree of innovativeness or “disruptiveness” based on the degree to which subsequent research articles cited the papers alone without including citations used in the paper itself. Highly disruptive papers, those cited alone by subsequent authors, were found to contain research that was more transformative. Such innovative papers provide a ‘jumping-off point’ for a new field of research,” says sociologist Jason Owen-Smith of the University of Michigan. A closer look at the disruptive papers revealed that “big teams tend to work on existing theories rather than instigating new ones.” The analysis showed that “the most disruptive papers, patents, and software products tend to be produced by small groups, and that, as team size grows, disruptiveness declines.” Interestingly, even an individual scientist’s disruptiveness tended to drop as the number of co-authors increased. I thank my friends Roger and Margaret Riffle who have long ties to West Virginia for sharing an article by Connor Griffith, business editor of WVNews. 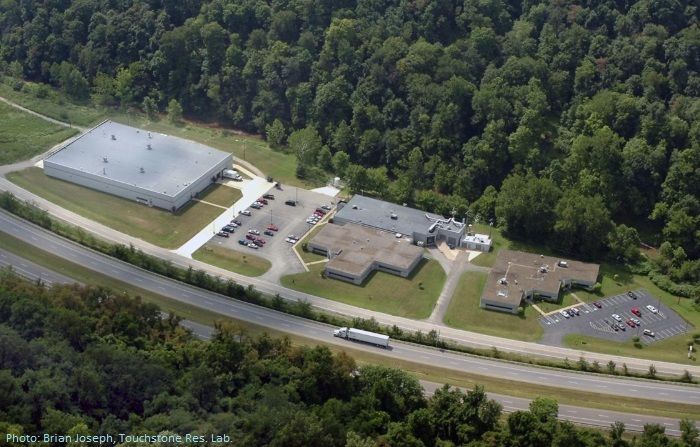 The article, entitled “Touchstone Labs: Growing Business and Sending WV Coal into Space,” features the innovative research by a small R & D firm, named Touchstone Research Laboratories. Touchstone was launched in the basement of a monastery, in 1980, by president and CEO, Brian Joseph. 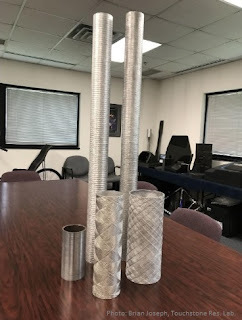 One of the companies spawned by Touchstone is CFOAM, named after its principal product, CFOAM®, short for “carbon foam.” CFOAM is produced by pulverizing coal (something West Virginia has plenty of), foaming it under pressure, then heat-treating and cutting it into desired shapes. This structural foam is light-weight and can withstand temperatures above 6,000 degrees! CFOAM is now used in place of ceramic tiles on space shuttles, and its future is promising for applications not yet discovered. Touchstone Research Labs also developed Metpreg, the world’s strongest aluminum. Metpreg is now used in bicycle frames where it provides as much strength as current commercial frames at one-third of the weight. I’m sure that Touchstone is but one example of the many “invention factories” that have arisen from the innovative ideas of small groups of researchers. Such stories make it tempting to conclude that the future of science and technology rests in the philosophy that “small is better.” However, Ruth Williams concludes her article in The Scientist with a reasonable assessment by Jason Owen-Smith who believes “we need a combination of big teams developing and strengthening existing ideas and small teams performing high-risk, high-reward, innovative projects. The fact that there seems to be no end to the creativity of humankind is a testimony to our Creator God in whose image we were created. The Genesis account in Scripture records that, In the beginning God created the heaven and the earth. And the earth was without form, and void; and darkness was upon the face of the deep. And the Spirit of God moved upon the face of the waters (Genesis 1: 1-2). Into this formless void, God began to create order and diversity of mineral, microbe, plant, and animal. God created these things with the capacity for further development and diversification through science and technology. And then, He created Adam and gave him and his descendants dominion over creation with a mandate to exercise servant stewardship as His representatives on the Earth. The current article seems to have featured some of the more positive examples of God-given creativity in science at work. Valentine’s Day helps us focus on the love we share with special people in our lives. 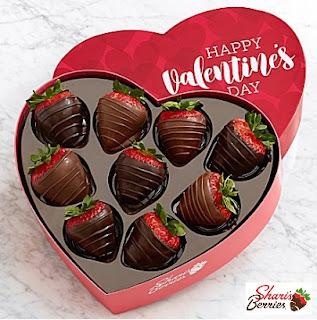 We express our love by sending cards, candy, flowers, or more extravagant gifts. In most cases we do not create the gifts. We purchase them, add a few tender words, and share them with our love. In doing this, we are acting out the meaning of stewardship—i.e. handling things which we didn’t create and which ultimately do not belong to us. If we agree that buying and giving gifts is a form of stewardship, we might say that being loved and loving others is the ultimate core of stewardship . As explained in LOVE Part 2: “It’s Out of This World”, love does not originate from us. Like a Valentine gift that we didn’t create, love enters our lives and relationships from God. God’s love (agapeo and phileo), like the sweet fragrance from a flower, is the central essence of His character. As 1 John 4: 8 states, God is love. God’s inspired Word and His actions continually express His limitless love for His creation and humankind--expressed ultimately through the Life, death, and resurrection of Jesus Christ. Since Christ’s resurrection some 2,000 years ago, His Spirit has been transforming sinners into Christ-followers who submit to the authority of God’s Word. These who follow Christ, do so as stewards of the gifts of His Spirit, including love—or, as 1 Peter 4: 10 states, we are stewards of the manifold grace of God. Christ-followers demonstrate by their love for God and for one another that they have died to self, have submitted to the Word of God, and have yielded to the rule of Christ as Lord of their lives. This submission begins a life of repentance, humble confession and rejection of sin and selfishness. These spiritual disciplines are motivated by our reverential fear of God our Supreme Judge, and by our emersion (baptism) into His love. 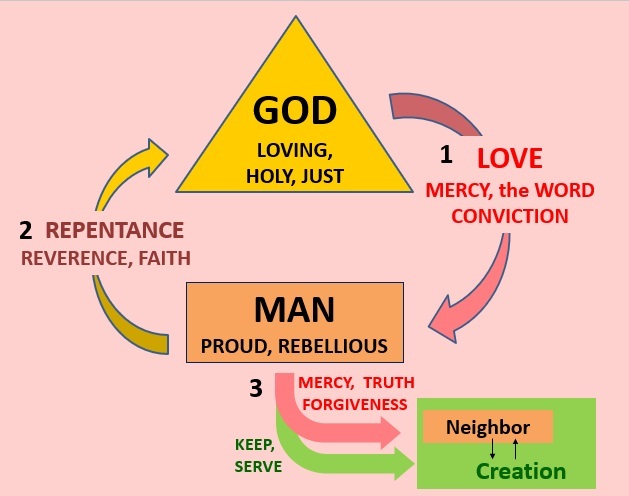 [See LOVE: Part 2 – It’s “Out of this World.”] In love and mercy, God responds to our repentance, cancels our “sin debt,” and withholds His harsh judgment of us as rebellious, undeserving sinners. But, how is that? How do Christ-followers "fear” a loving, forgiving God? If this seems contradictory, see LOVE: Part 5 - Is God-Fearing Love a Contradiction? Our Motivation to Love: God Has Canceled Our Debt. Forgiven sinners, freed from the burden of their sin, in reverent fear and submission to God’s Spirit, offer the sweet aroma of God’s love (fruit of the Spirit, Galatians 5: 22) back to God. They also extend this love to their neighbor. If we truly love God, then according to 1 John 4: 21, …he who loves God loves his brother also. Christ-followers are empowered to love God and neighbor out of a spirit of thankfulness for all God has done and continues to do. Their remembrance of God's forgiveness causes them to extend mercy and forgiveness toward others, even their "enemies." our relationships to God, neighbor, and creation. Still, I’ve been asking myself how it is that God’s love can become more real to me each day. The parable tells of a servant who owed him the equivalent of several million dollars in today’s market (Matt. 18: 24). Jesus wanted us to understand that this debt was larger than the servant could ever hope to pay off. The master …commanded him to be sold, and his wife, and children, and all that he had, and payment to be made (v. 25). The servant’s response was to fall down and beg his master for mercy, 'Please, be patient with me, and I will pay it all (v. 26).' He was so desperate and fearful of the consequences of not being able to pay that he promised more than he could ever do. Jesus wants sinners to realize from this story of the unpayable debt that we are great debtors facing a similar fate. to live forever and never see the grave. Now, back to my question—“How can God’s love become more real to me each day?” I must focus on the Cross of Christ where I realize the great love and mercy of a Holy God who made possible the cancellation of my sin debt, thus sparing me of eternal judgment. In light of this realization, my love for God and my neighbor ought to flow freely—loving God in return, and loving others through patience, mercy, and forgiveness. This is not a small task for me in day-to-day human relationships with spouse, family, friends, and frustrating world and national news—especially, because relationship challenges reveal my own lingering selfishness. 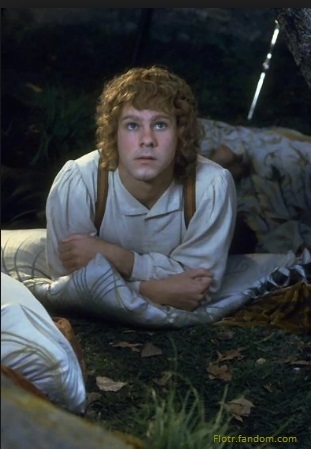 Pippin remembered the sound of the horn. “How do you listen to a distant horn? What are your distant horns?” What music, people, places, activities, or Scriptures helps reawaken in you the memory of the victory that Christ purchased for you there on that rugged hill? Back to Jesus’s parable, the unforgiving servant represents those who forget the King and the sound of His horn. The unforgiving servant’s desperate plea melted the heart of his master who then forgave his multimillion-dollar debt—entirely! Jesus does not describe the response of the servant to this life-changing show of mercy and forgiveness. If the forgiven servant had any gratitude, it was shallow and soon forgotten because we read that the unforgiving servant immediately went out, and found one of his fellowservants, which owed him [a few thousand dollars]: and he laid hands on him, and took him by the throat, saying, Pay me that thou owest. I am thankful for God’s provisions that help us remember what He has done for us: His commands (really, loving invitations) to worship together on the first day of each week (Acts 20: 7; Hebrews 10: 25) and to regularly observe the sacrament of Lord’s Supper. These are essential disciplines that bring us into communion with our Savior and with fellow blood-bought brothers and sisters in remembrance of the wonderful Cross. Of course, Valentine’s Day provides an annual reminder to express love to God and to our friends (and enemies). Since Valentine’s Day last year when I wrote about love and marriage, in Valentines and a Better Love, I have been reading and thinking much about “true love,” hopefully from a Christian worldview. As I conclude this sixth part in my series on LOVE, I confess that I haven’t even scratched the surface. Nor has my stewardship of sharing God’s gift of love reached anything like the fragrant love that emanates from Jesus. But, my prayer is that you and I, and all who come across these writings will be drawn closer to Jesus the Source of this Love and to the Cross where Love met God’s judgment of sin, and prevailed! This Valentine’s Day, I am asking myself: Do I truly love God, my Creator and Savior, even though at times He seems distant? Do I love my wife as God’s gift for nearly 50 years, even when one of us is grumpy? Do I love my family, my friends, many of whom pray for us and encourage us every day? Do I love and pray for our leaders and for Christians living under very hard, dangerous conditions; and for the millions who are homeless, both locally and internationally? The answer rests not on me alone but on Christ alone, by faith alone, in His Word alone, by His grace alone. For it is not that we loved Him but that He loved us while we were yet sinners (Romans 5: 8). Christ demonstrated His love through His death, resurrection, and promises of His return. Until that time or until He takes me home, I want to be a good steward of His love. LOVE: Part 5 - Is God-Fearing Love a Contradiction? Christianity is unique among all religions of the world. According to the Bible, God is a living and personal God who created all things and seeks relationship with us through the Gift of His Son, Jesus Christ. This relationship will last for eternity in a real place called Heaven where Christ-followers in new bodies will personally recognize and enjoy relationship with each other for all eternity. Christianity is also unique in its encouragement of virtues such as unconditional love. According to 1 John 4: 16, God is love. Love (agapeo and phileo) originates from God and is expressed most fully by Christ-followers through a spirit of thankfulness and forgiveness. I am planning to discuss these elements of love in PART 6 of our series of articles on LOVE. But first, I want to address an often confusing question; namely, “How can a God of love be a Holy Judge who requires that we approach Him with reverent fear?” A correct answer to this question is important. The Bible teaches that we cannot acquire a spirit of thankfulness or express forgiveness to others unless we first learn to approach a holy God with reverent fear and respect. Notice the sequence Moses uses: fear --> obey --> love --> serve. He means that our love for God is made real to God only when we obey His commands in His Word. In turn, obeying God as willing servants or stewards is grounded in reverent fear of God. Fear of God allows God’s Spirit to empower Christ-followers to love and serve Him. I have often wondered how a fearsome God can expect us to believe He is a God of love whose commands are worthy of our obedience. 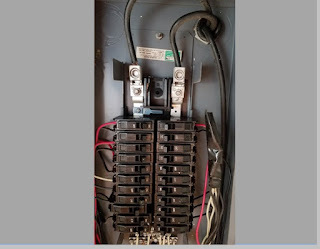 I received my best answer to this question recently when I was checking the electrical circuit breakers in our basement. 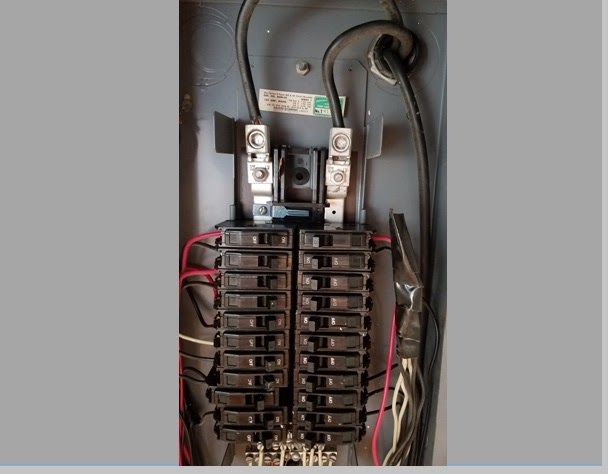 Like most “breaker boxes,” ours contains two thick cables that connect electrical power to our home from outside utility lines. The exposed wire within each cable is anchored to a contact within the breaker box by large screws. From these contacts, electricity flows to and from individual circuit breakers, each wired into a separate circuit or path of electricity that serves to power individual appliances within our home—e.g. kitchen lights, furnace, etc. Each circuit is protected by a circuit breaker which can be “thrown” in order to interrupt current flow in the event of an overload. Knowing what I have just explained about electrical power, you can understand why I “fear” the inside of our breaker box. I believe my fear is justified. Touching the bear wires without insulated gloves could prove fatal. By analogy, my question becomes, “How can I ‘love’ something like electricity that causes fear of death?” The answer is found in the same sequence as the commands God gave to Moses: fear --> obey --> love --> serve. When I base my attitude and behavior on my fear (healthy respect) for electricity and don’t touch the wires, then I have nothing to fear. As part of God’s creation, electricity “obeys” the laws of His creation. Therefore, as long as I respectfully follow God’s unchanging laws governing electricity, I am safe from harm. There are no unwanted surprises and I am free to enjoy, even “love” the benefits of having electricity flowing in and around me in our home. Likewise, as Moses teaches us in the Scripture cited above, Jehovah God loves us and desires that we learn to love Him in return. But we can only learn to love God when we first become aware of His awesome power and discipline, and then respond by offering Him our reverent fear and respect. My illustration of a healthy fear and respect for electricity also applies to relationships with human authorities. 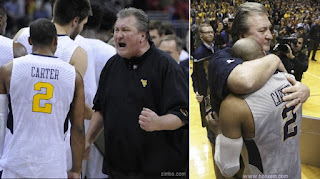 The basketball player who has a reverent respect for his or her coach has learned to be respectful because he or she knows the consequences of being disrespectful or lazy. Athletes who willingly submit to well intended demands of their coaches will often develop a greater love and devotion to them, resulting in a more excellent performance in competition. Notice that Solomon’s teaching is very much in line with that of Moses. The progression is: fear --> knowledge --> wisdom --> obedience (implied). When we submit in reverent respect for God and His Word, our heart and mind are open to receive both knowledge and necessary wisdom to help apply that knowledge in God-honoring obedience. And, God interprets our obedience as a language of love for Him. In return, according to the psalmist, God grants us peace of mind. Great peace have they which love thy law: and nothing shall offend them (Psalm 119: 165). In recent years, we have been struggling as a culture to render necessary fear and respect for those in authority. News reports frequently report incidences of disrespect and threats of violence toward authority figures including the President of the United States, high court justices, law enforcement officials, and school teachers. But we should have no reason to be terrified of those in authority unless they we have broken the law. Law-abiding citizens should know “great peace,” being free from the fear of being arrested. If we want to live quiet and peacable lives, we ought to obey the law; then, love and pray for law-enforcers who risk their lives daily to protect homes and communities. It is clear that those who refuse to submit to God in fear and reverent respect according to the progression of fear --> knowledge --> wisdom --> obedience (implied), are instead destined to a progression that we might outline as follows: no fear of God --> rebellion --> foolishness, ignorance of truth --> dysfunctional life (as described above). Eventually, a godless approach to life leads to hopelessness, despair, and fear. In summary, we have explained that fear, or reverent respect, is essential to obeying God and God-ordained authority figures; and also, to obeying laws of nature regarding its potentially harmful aspects like electricity. Likewise, fear of God motivates respectful obedience to His special revelation (His Word) and His general revelation (e.g. laws of creation regarding electricity). Our obedience in turn demonstrates our love for God and opens our hearts to His love and peace. Read 1 John 4: 13-18 which underscores the security that is assured to Christ-followers through God’s Word and the inner voice of His Holy Spirit. The child of God who is secure in God’s love is empowered to express unconditional love through two actions that uniquely authenticate his or her Christian faith in daily practice; namely, thankfulness and forgiveness. These virtues will be the subject of my next article, “LOVE: Part 6 - Humbly Received, Graciously Given." Join me in reflecting upon the foundational nature of stewardship (oikonomia) in all of human experience. I hope that my postings and your comments will provoke us to think more deeply about stewardship of the material resources, time and talents entrusted to us, and then to express our commitments through responsible living on the Earth. I grew up as a farm boy, and have spent a good part of my life in the sunshine of God's grace, both attempting to nurture a wonderful wife, our son and daughter and their loved ones, students, friends, plants, and an occasional animal. I have learned much from my family and from teachers for whom I am thankful. I love the sweet sights and smells of God's creation and even more when I can share it with others. The creation and the Bible mutually affirm the wisdom, power, love, and kindness of God to me. I hope to be an example of one who follows biblical instruction in how to love God and my neighbor as I do myself, and who is content to live as a steward of the natural world and material blessings entrusted to me.